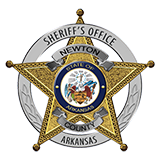 Proudly serving and protecting the residents and visitors of the prettiest county in Arkansas since 1842. Newton County is the 46th county in Arkansas and was formed on December 14th, 1842. Newton is named after Thomas W. Newton, an Arkansas congressman and our county seat is Jasper. Newton was once home to the Choctaw Indians. The landscapes of Newton County are the beautiful and rugged Ozark Mountains. The Ozark National Forest provides wilderness hiking, backpacking, camping and hunting. The Buffalo National River, the nation's first federally protected river, is one of the last free-flowing streams in mid-America and offers clear blue water for fishing and canoeing along the towering limestone bluffs.